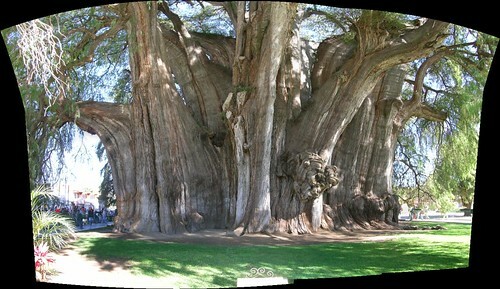 World's thickest tree is a giant tule (Montezuma Cypress) tree located in the town of Santa Maria del Tule, Mexico. 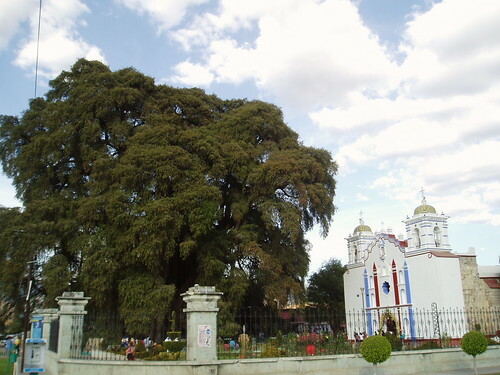 The tree is known as Árbol del Tule (Meaning: The Tule Tree). 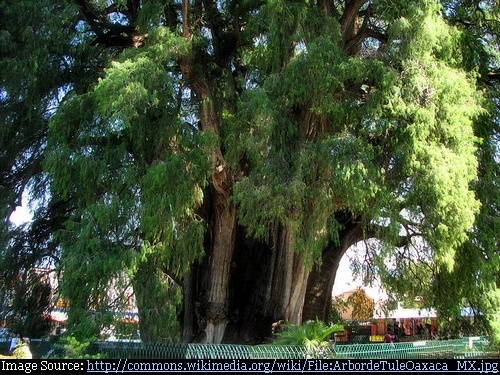 As a matter of fact the town takes its name from this famous tree and also boasts several other huge and ancient cypress trees, however Árbol del Tule is the stoutest. 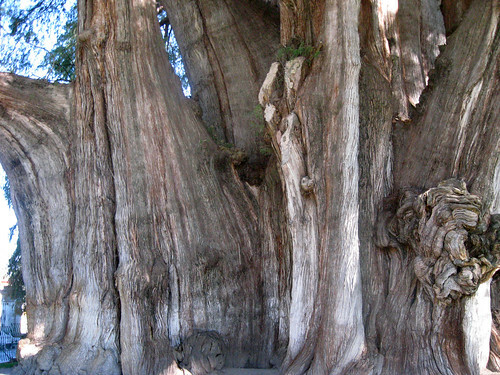 The ancient Mexican called it Ahuehuete (meaning "deep water") and it is Mexico's national tree. The tree which stands in a church grounds in the town center is still growing and in 2005 its trunk had a girth of 36.2 metres (119 feet) - roughly equivalent to a diameter of 11.62 metres (38.1 feet). It's height is estimated to be 35.4 metres (116 feet). The tree trunk is so stout that there was a speculation that it is not one tree but several fused/co-joined trees. However DNA tests have shown that it is one single tree. Because of its large volume it is also claimed that it is the world's largest single biomass. There have been varying claims about the age of the tree with estimates ranging between 1,200 and 3,000 years. However the best scientific estimate based on growth rates is 1,433-1,600 years. Image from Flickr is Travis S.
Image from Flickr is by akseabird - To depict the full width, the image was created using six individual shots stitched together.